Dainty, light melted caramel and sweet cream custard aromas and flavors without any sugars (add your own). This is a seductively rich set of flavors. It can nicely add complexity and pleasing background flavors to any coffee, oatmeal, chocolate chip recipe, muffin mix (and even exotic alcohol based drink that contains Baileys, Kahlua or amaretto. 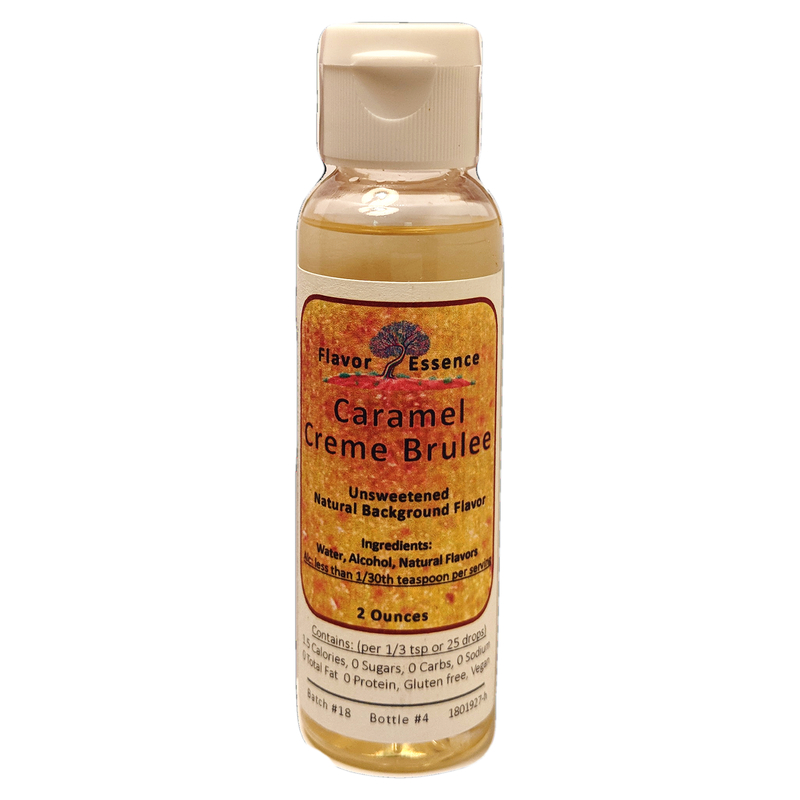 The Caramel Creme Brulee natural concentrate is kind of a secret item; because it is not an off-the-shelf flavor that is either simple to mimic or commonly found as an ingredient. Creative consumers, chefs and bartenders will find and give new pleasures for this product. 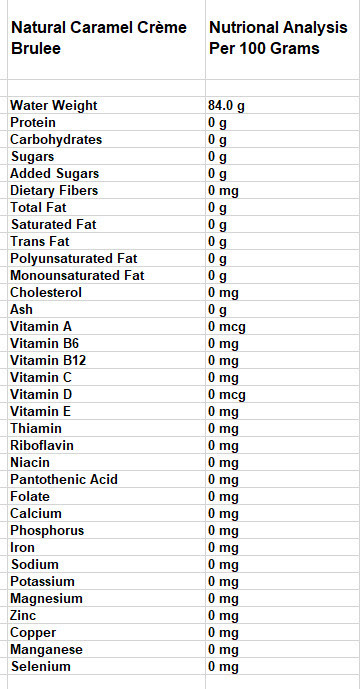 Made as cleanly and simply as possible (vegan) with natural flavors, water and alcohol --unlike extracts, the alcohol here is purposely minimized to a very nominal level of less than 1/30th of a teaspoon per serving.] <br> <br>You can flavor anything your own way, and flavor it to your own desired levels of strength. Each 2 ounce bottle will flavor approximately 30+ beverages, and in batters and baking projects, one bottle will flavor approximately a dozen batches. It will add fun to your beverages and creative food recipes --without any sweeteners, sodium or fats. Like our other flavors, it is styled to play a well-behaved supportive role, that doesn't dominate over the primary flavors of your beverages and food recipes. Try this in coffees, teas, shakes and smoothies, yogurt, French Toast and pancakes batters, cookie doughs, muffin/cake mixes, whipped creams and frostings. It is limited only by your imagination!